Hot damn! What a way to round out a month of release announcements from some of my favorite acts. So far, Iron and Wine, the Decemberists, the Drive-By Truckers, Toro y Moi, and Tapes and Tapes all have new albums set for release in early 2011. You can toss another one on that heap, as the AV Club is reporting that Bright Eyes is set to release The People's Key in February 15. You might remember I hinted at this happening back in September, when I put up a poll gauging excitement in various upcoming releases. 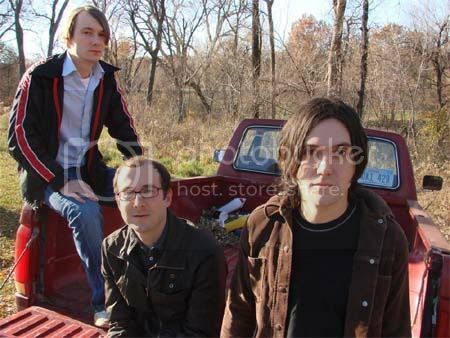 Bright Eyes finished a solid third in that poll, so the four of you who voted for them, here you go. What's weird is I'm listening to Lifted in my car right now. Anyway, it's the first Bright Eyes album since 2007's Cassadaga which was my sixth favorite album that year. Since then, Conor Oberst has stayed busy, releasing two solo albums and taking part in the excellent Monsters of Folk project with Jim James, M. Ward and producer Mike Mogis. As the AV Club article mentions, it's supposedly going to be the last album under the Bright Eyes moniker. Kind of the end of an era, but Oberst has proven that he can write outside of the bounds of that name, which leads you to believe that those bounds aren't really all that binding in the first place. By the way, this will wrap up updates for November. Best Of '10 month starts soon -- look for all the year-end lists to appear throughout December!